The concept of skin care devices is an appealing one. It seems that with today’s technology, there should be a fast way to get rid of pimples. Skin care appliances such as Zeno Hot Spot, Thermaclear, and Claro claim to blast acne bacteria with heat, reducing the size of your pimple overnight. Sadly, there is limited evidence to show that these devices do anything for acne sufferers. 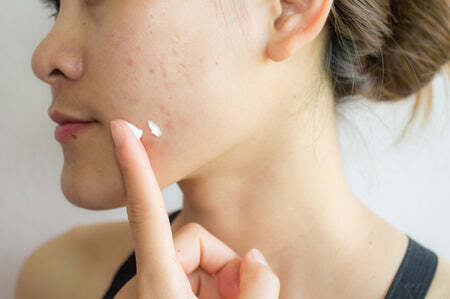 That’s because the devices operate on the basis of the assumption that P. acnes bacteria is the primary cause of pimples, when in fact, the propensity of acne sufferers to produce excess amounts of dead skin cells plays an equal, if not greater role. Even if the devices did work, there would be no need to purchase what is essentially heat on your face—you get that every day in the shower, and can easily heat your face to even higher temperatures through steaming or by applying warm compresses. We find that the opposite approach, applying cold packs and ice to acne lesions, has much better results. Ice is well-known for its ability to reduce swelling and inflammation by restricting blood flow. By icing acne pimples, you can reduce swelling and redness on your face, as well. Ice has the added benefit of compacting the outer layer of the skin so that products can penetrate more readily. If you apply your acne treatment products after icing your skin for a few minutes, the products will be more effective. Just be careful not to give yourself an ice burn! We do not recommend heat treatment devices for acne not only because they don’t work, but also because acne is best treated through prevention and not spot treatment. You can prevent acne from forming through an exfoliating and antibacterial morning and evening regimen customized for your skin.